These changes may not be visible to you just yet since Facebook is making these updates by user rather than by page. But it’s true. Facebook has started rolling out a new layout for business pages and we are impressed with the new look! What’s new in the redesigned Facebook page layout? Facebook threw it back old school reminiscing on it’s original design by moving the profile image to the left side of the page. Now that the profile image is off to the left side, your cover photo is unobstructed and it’s now the center of attention for your page. The call to action button stands out more than ever before. Now, the CTA button is blue and moved just below your cover photo and shifted to the left of the page. The CTA button is much more prominent and from our experience, more likely to convert! Nice work, Facebook. Our users will certainly be happy to hear this, Facebook has now created a menu of your page tabs to the left of your timeline. There’s no better time to add custom tabs to your Facebook page than now. Clearly, Facebook agrees too! Now visitors can search for posts on your Facebook page. It’s almost like we’re on a website – is this Facebook’s grand plan? The new Facebook page layout is definitely a hint that Facebook is trying to make business pages as useful as a website. With the new tabs menu and the post search, now brands can really maximize their communication and online marketing efforts on the social network. 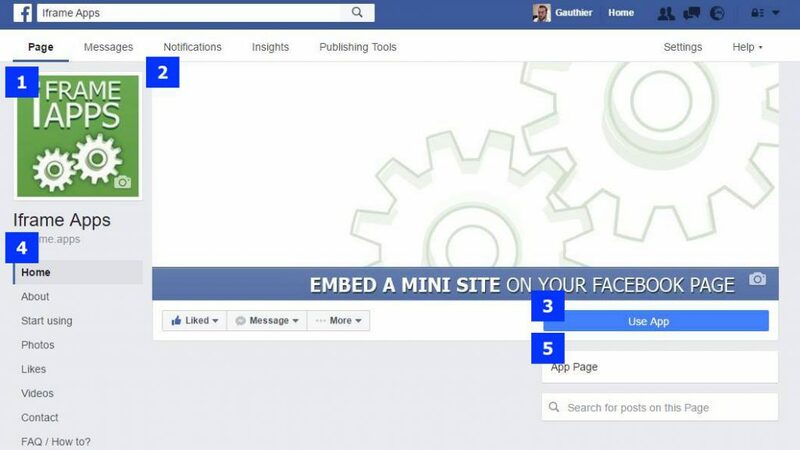 Want to create customized tabs for your Facebook page? Check back with us soon as we keep you posted on the latest updates on Facebook’s new page layout.